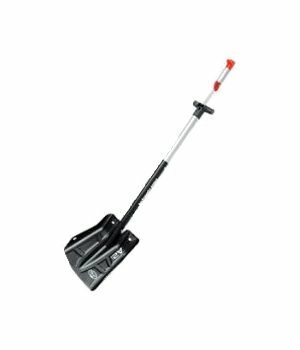 With a 28 cm snow saw capable of cutting wood, the A-2 EXT Arsenal avalanche shovel is prepared for whatever task comes along during your backcountry travels. Once the saw is deployed the shovel is still fully functional. Cuts both wood and snow like they’re butter! Integrated snow saw in shovel shaft.